Ivyleaf CL Site has been well established by the Stanbury family for over 55 years. In April 2018 Nathan and Katie, family friends, took over ownership allowing Phil and Nik Stanbury a well- earned rest. 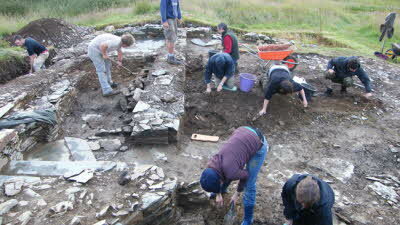 The site has always been very well supported with visitors returning annually. The location is one of outstanding natural beauty, peace and tranquillity offering stunning views. All five pitches are hardstanding with electric and drinking water available to each. There are three luxury en-suite style shower units plus a utility unit with washing machine and dishwashing facilities. The site looks out over our 9 hole, 2400yd Ivyleaf Golf Course with spectacular views of the North Cornwall coastline. Both Bodmin Moor and Dartmoor can be seen in the distance. Local award winning lifeguarded beaches are a short distance away. The larger beaches at Bude and Widemouth Bay are well known for surfing and other smaller beautiful beaches such as Northcott, Sandymouth and Duckpool are easily accessible. The villages of Kilkhampton and Stratton are 1.5 miles away both having shops and pubs. Bude is the nearest town (3 miles away) offering a good range of shops, restaurants and pubs. Not only is Bude famous for its sandy beaches it also has a beautiful canal with a unique fresh water to sea water lock. Numerous outdoor activities are available in Bude (surfing/tennis/crazy golf/rowing boats/cycling plus more ) and it also has an indoor swimming pool, bowling alley and children’s play zone. The South West Coastal Path passes through Bude, going north towards Morwenstow, Hartland and Clovelly and south towards Crackington and Boscastle. Tamar Lakes Country Park is approximately 4 miles away which offers watersports, coarse fishing and a 3 mile cycle or walking track around the lake. Please no dogs or toilet tents on site. Advance booking is advisable due to the popularity of our site. North Devon's largest, multi-award winning, family day out! The Milky Way offers five majors rides, massive indoor play areas for all ages and great live shows. There's something for the whole family with no hidden extras as all the rides, shows and play areas are included in the entrance fee. The best day of your holiday baa none! 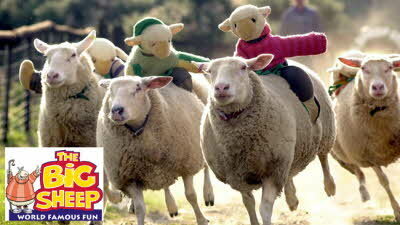 Hilarious live shows including sheep racing, bottle feeding baby lambs, dog & duck trials and shearing demonstrations. An award-winning 65 acre garden providing inspiration in every season with its enchanting array of landscapes and formal garden rooms, which flourish in their lush sheltered Devonshire location. 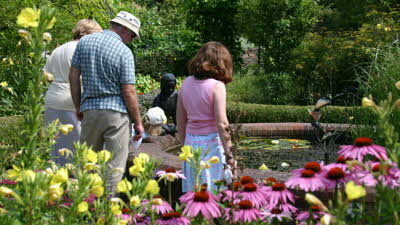 A wide variety of events are held all year round. This must be the best CL in Britain. The views are stunning, all the facilities you want, and the friendliest couple in Nathan and Katie. Absolutely wonderful. We have just returned from a 2 week stay here. It's a lovely site with excellent, clean facilities. We were warmly welcomed, Nathan and Katie could not have been more friendly and helpful. The views from the Meadow are stunning and we had a lovely relaxing holiday. Compared to some, very good value. 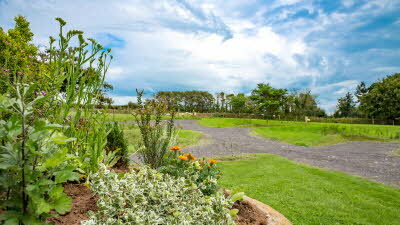 Fantastic views across the golf course and out to sea and only a few miles into Bude make this an excellent CL. Whilst it's £16/night, more than we would normally pay, it is good value when some sites want to charge £12-15 and give you nothing. Here you can use the well kitted gym, play on the 9 hole gold course, take to the driving range, wash your clothes in the laundry and enjoy the included use of 3 showers and 3 toilets. 2 are brand new and really well appointed and 1 is older, a little tired, but very functional and please remember - this is a CL charging £16/night not a 5 star resort. We would normally refuse to pay so much for a CL but in future we might take a longer look and check out just exactly what is included. Access is up a steep hill which is narrow in places but with care it's fine. The pitches all have water, are level hardstandings and as previously stated, come with beautiful views. My only gripe is that it is not 0.75 acres. It's not even 0.25 but then that's our Clubs doing and is a pet hate of mine........why do they lie to us so many times! This is not the sites fault.